A Shropshire boxing coach says winning a Thrive Mental Health Award means helping more people by changing lives through sport. 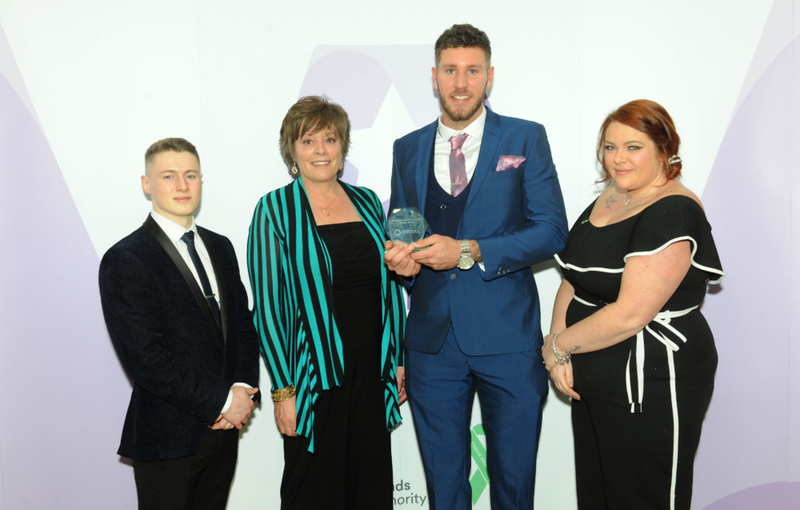 Bright Star Boxing Club was named Mental Health Star in the Team, Service, Organisation category for Shropshire, Telford & Wrekin and Herefordshire, Cannock Chase and Tamworth at the recent West Midlands Combined Authority (WMCA) Thrive Awards. Club development manager Joe Lockley said people became part of a family and a community in Bright Star, with role models they may never have had before. He said: “Sport can be used as such a vehicle for change – the benefits are so much more than just physical. “The way boxing has supported people is incredible – and actually it’s not just boxing, I think it’s sport in general. “I’ve seen how it can help people – we’ve seen people overcoming addiction, anxiety and depression and people who are really socially isolated starting to feel part of a family, a community. Joe said the award was an inspiration onto even bigger and better things. Bright Star has helped people at risk of offending, people who have been sexually abused and had a life changing impact on a lot of people. The academy takes referrals from other organisations and also has sessions running outside the club for women who have been sexually abused, children in care, substance misuse and children at risk of offending. Six of the coaches are mental health first aid trained and the academy has shown that with the right volunteers boxing can support high anxiety, depression, offending behaviour and young people struggling with anger and substance misuse. Young people receive mentoring to help them set goals and free one-one sessions are offered to young people with high anxiety to enable them to take part.